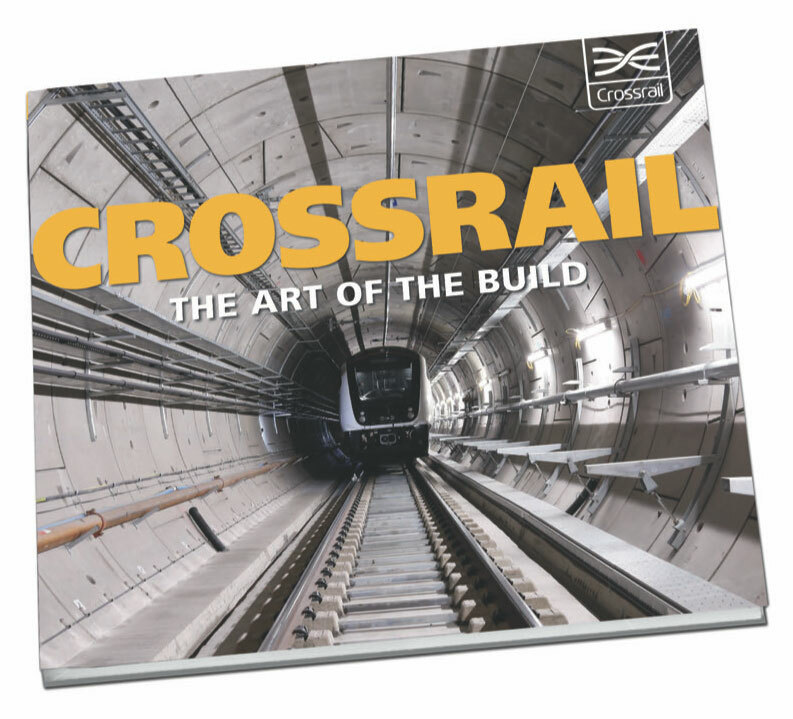 Crossrail project books - Crossrail . For information about the Elizabeth line please visit the Transport for London website. 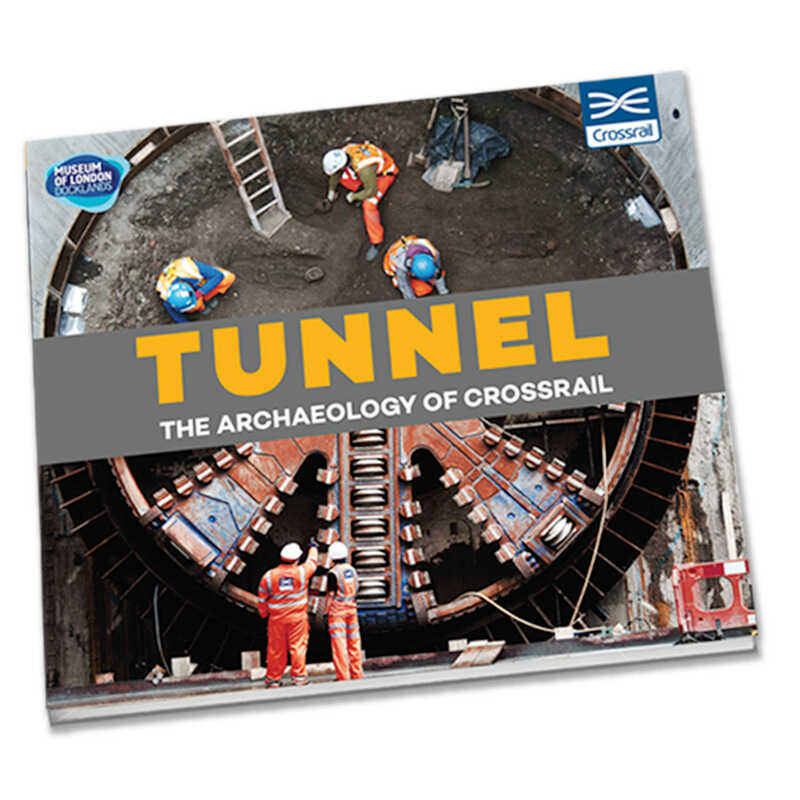 Discover stories from Crossrail in a selection of books that offer insight into the archaeology, engineering, tunnelling, architecture and design on the project. 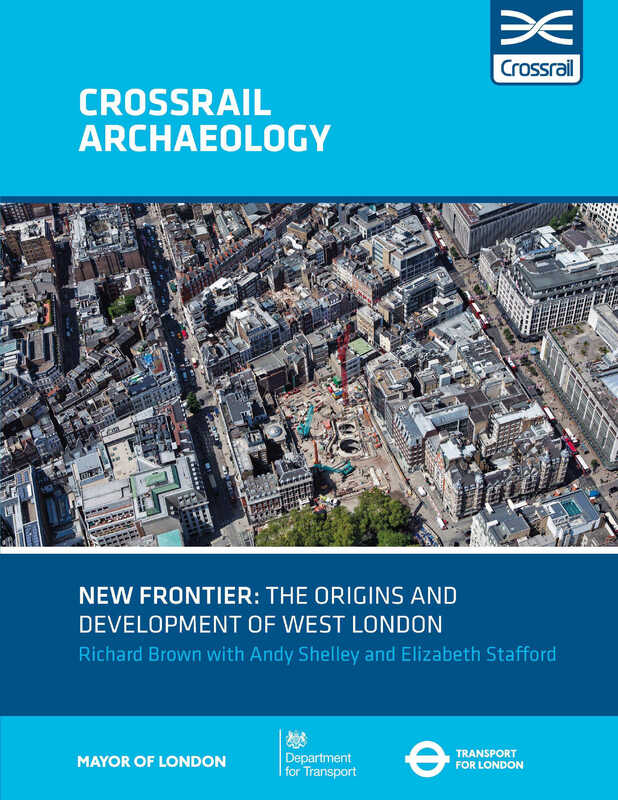 This book presents the reflections of four writers, specialists in history, architecture, art and economics, on the Crossrail project and the future Elizabeth line. It reflects on Crossrail’s place in the history of rail development, its contribution to the built environment, the exceptional public art being delivered at new stations and its impact on the city. These articles underline the scale of the project and its importance to London and the UK. The book is available to buy from the London Transport Museum in Covent Garden and through their online shop. The construction of London’s newest railway, underneath the streets of one of Europe’s most historic and complex cities, has resulted in one of Britain’s biggest archaeology programmes. 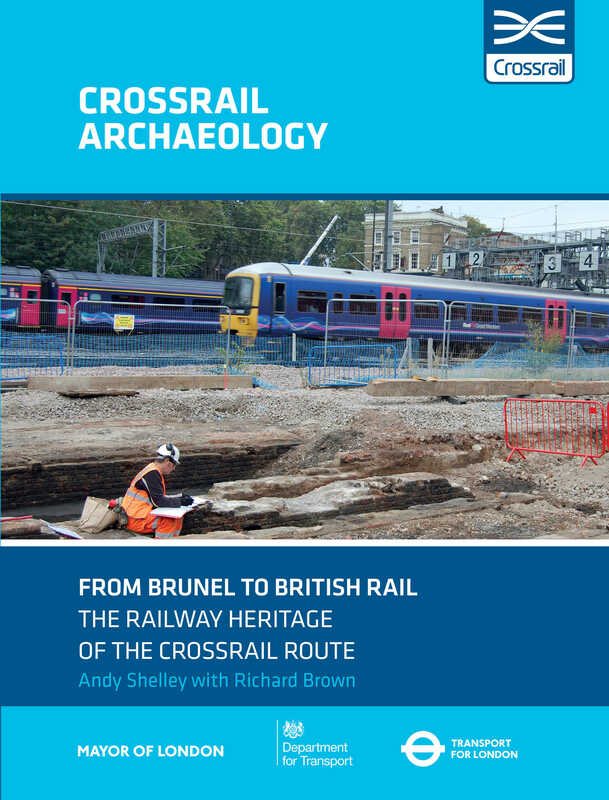 This book explores in detail the huge range of discoveries found along the route of the Elizabeth line. The book is available to buy from the Museum of London, Museum of London Docklands and through their online shop. 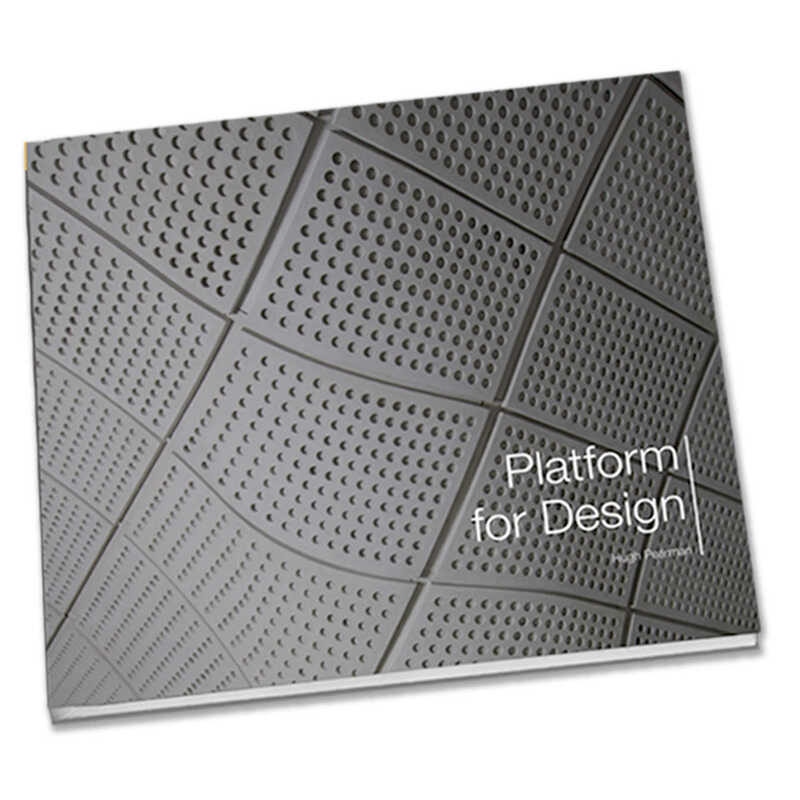 A book by architecture critic and RIBA Journal editor Hugh Pearman, has was published by Crossrail Ltd to coincide with the launch of ‘the design line’ exhibition, which was held at the London Transport Museum in 2016. With over 150 visualisations and photographs, the book explores the design of the railway’s new and upgraded stations, the new public spaces, the trains and the artworks being delivered by Crossrail, Europe’s biggest infrastructure project. 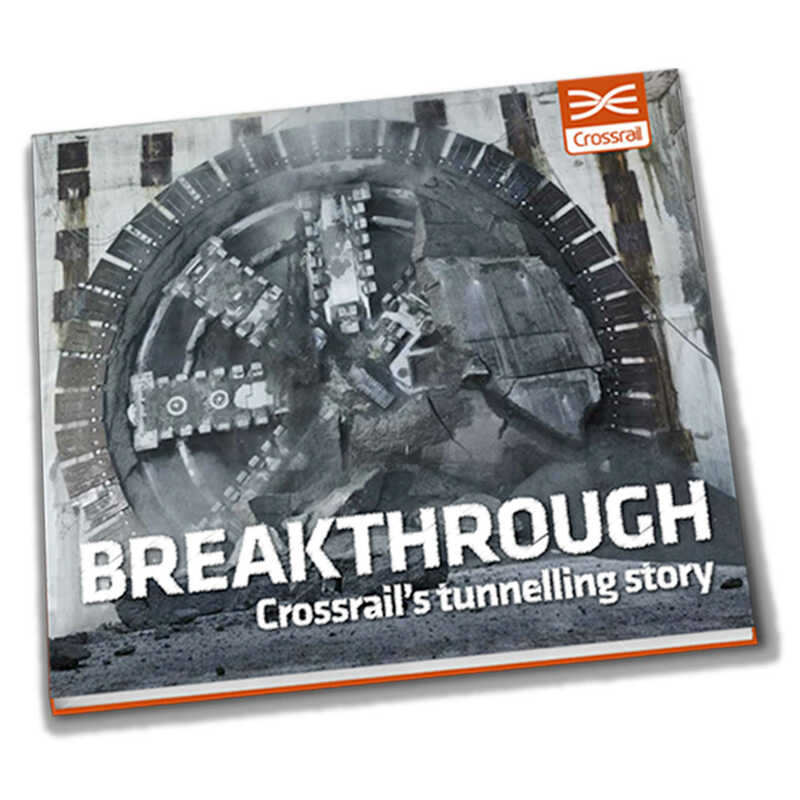 Following the completion of Crossrail's tunnelling marathon under London, Crossrail published a new book that celebrates this major milestone for the project. Teams of dedicated workers spent three years under the city to complete the tunnels, working with 1,000 tonnes boring machines and the latest engineering technology. With over 150 stunning photographs, explore how some of the deepest,largest and longest tunnels have been made in one of the most extensive underground building projects in a generation. 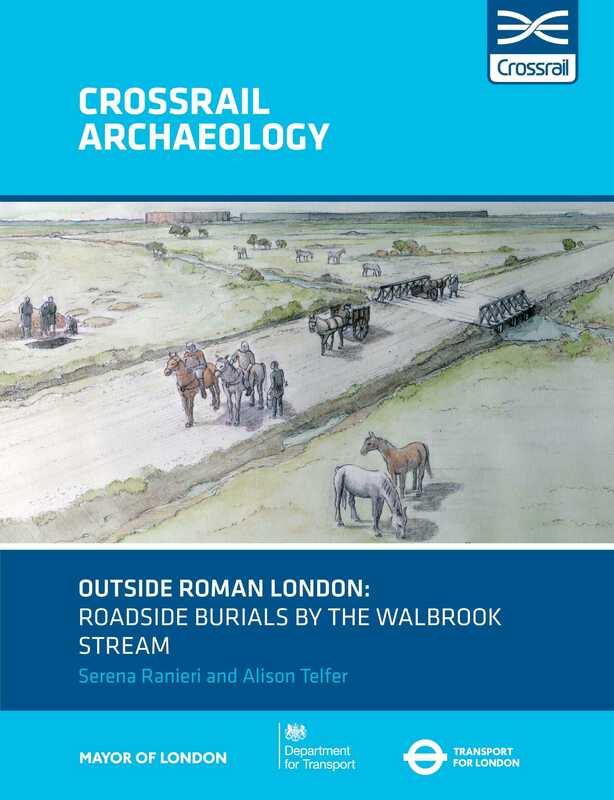 The discoveries unearthed during the construction of Europe’s largest infrastructure project are explored in a series of ten new books by Crossrail, Oxford Archaeology Ramboll and the Museum of London Archaeology (MOLA). Since construction began in 2009, more than 200 archaeologists have unearthed over 10,000 objects from 40 locations, spanning 55 million years. The new railway, which will operate as the Elizabeth line when the services open for passengers in December 2018, runs east to west through some of the capital’s most significant historical areas. The full series of books will explore a wide range of periods and locations, including: Historic buildings along the route; Railway heritage; the development of Soho and the West End; the Crosse & Blackwell factory at Tottenham Court Road; the investigations at Charterhouse Square at Farringdon; Pre-historic east London; and the Roman and Post-Medieval remains at Liverpool Street. 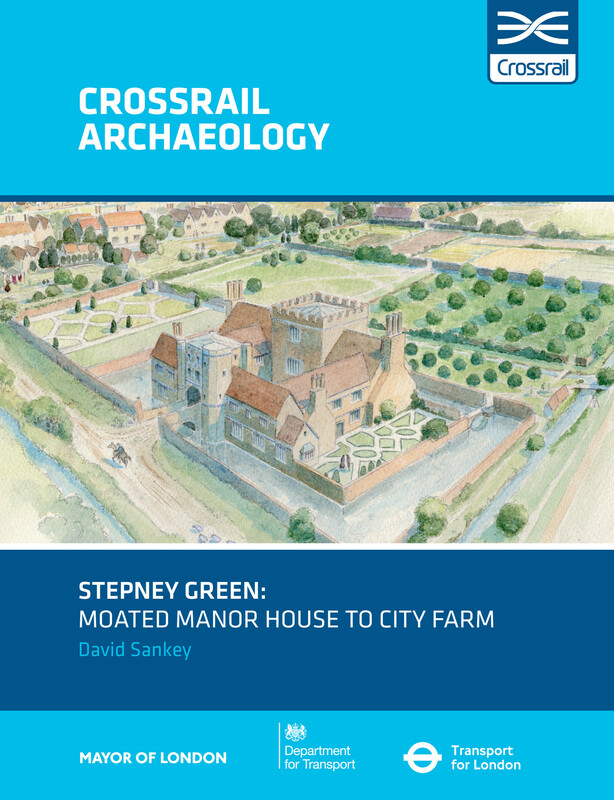 Excavating the site of a Moated Manor House in Stepney Green for Crossrail brought to life the history of this part of east London and through community digs provided an opportunity for local people to uncover their local heritage. The book highlights the range of archaeological discoveries made, including a 15th Century moated mansion, a 16th Century bowling ball and fine Italian glassware. It also includes personal accounts from local people that lived in the area during WWII, bringing this account of the East End up to the modern day. The book is available to purchase on the Museum of London Archaeology website. 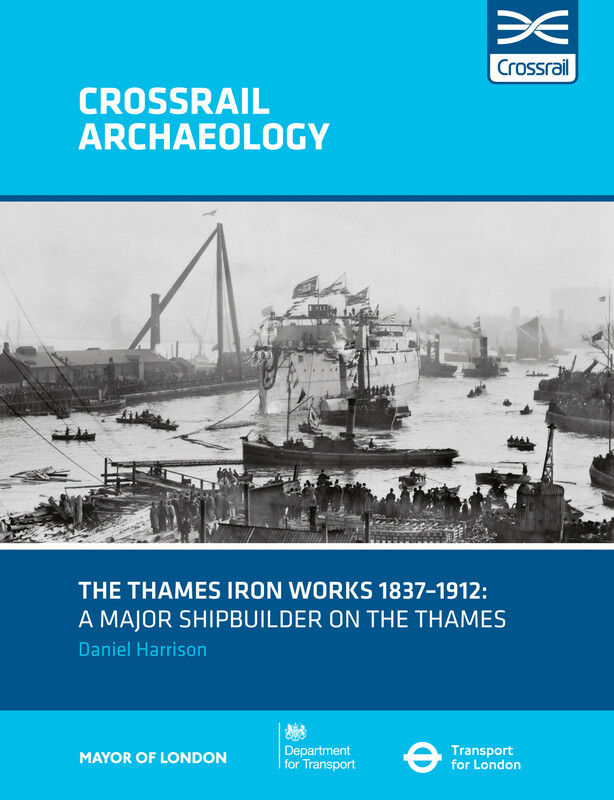 Excavating the remains of the Thames Iron Works for Crossrail provided a remarkable opportunity to uncover the workings of one of Britain’s great Victorian shipbuilders. Combining the archaeological findings with historical accounts, drawings, maps and photographs has revealed the forgotten story of the people that worked at the iron works. It also sheds light on many of their fascinating projects, from the HMS Warrior- the first armour-plated, iron-hulled ocean-going warship, to the cylinder ship Cleopatra that transported Cleopatra’s Needle from Egypt. Much of Crossrail, London’s latest railway, lies hidden beneath its streets. It is visible only where new stations have appeared and tunnel entrances formed. At many of these places existing buildings have had to be adapted or removed to accommodate the new railway. Architecture is the essence of London; it is both the historic bedrock and the constantly changing evidence of revision and innovation. 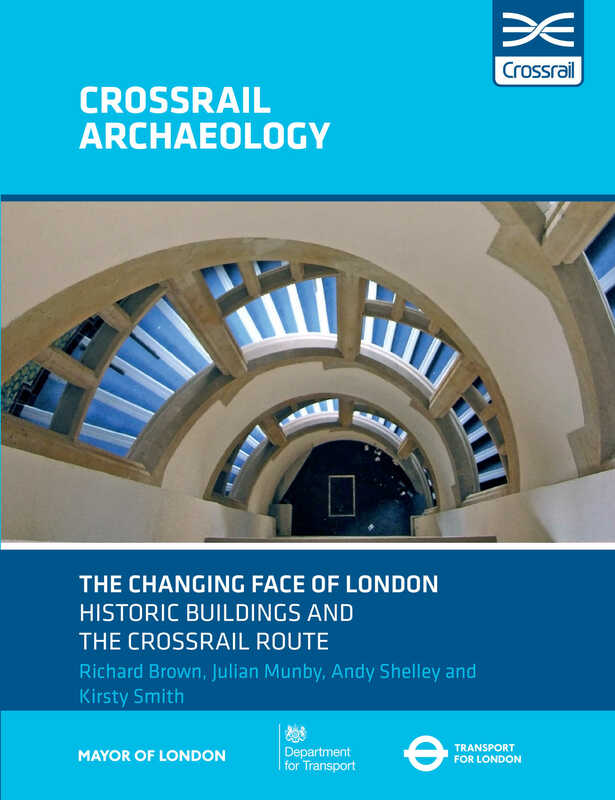 The Built Heritage described in this book draws on a selection of properties united only by the Crossrail scheme and illustrates the wonderful and varied buildings that make the capital. The book is available to purchase from the Oxbow books website. Trace a line across a map of London and one will encounter many historic railways. Railways are more dynamic than people may suppose; over time stations are reconfigured, bridges replaced, tracks re-aligned. Sometimes, whole lines or tracts of land, particularly those associated with London’s freight operations, fall into disuse. 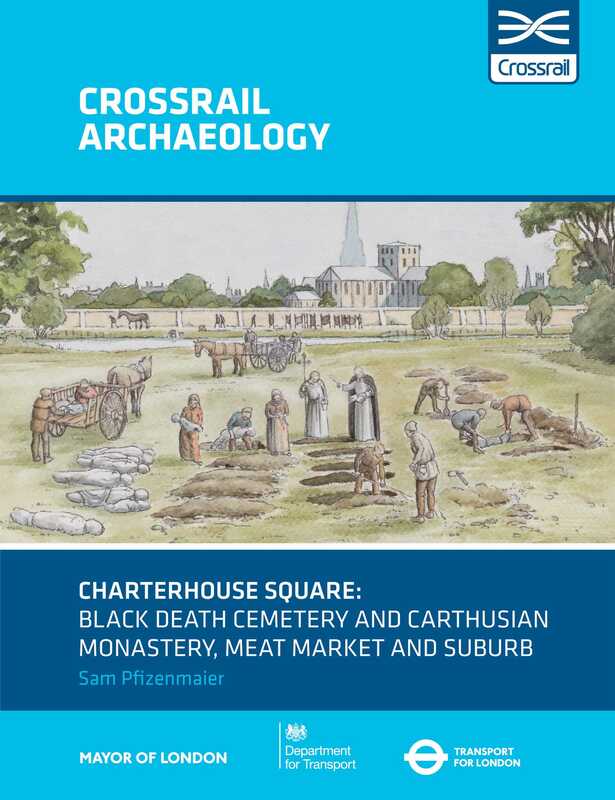 Buildings have much to tell us about the lives and livelihoods of others, and Crossrail ensured that any building or site of archaeological significance affected by the works was surveyed by their team of archaeologists. This book presents the results of those surveys in the form of a collection of essays, largely based on the chronology of railway development in the capital. Oxford Street, Paddington Station, Soho; these are some of the most iconic landmarks of the capital and famous throughout the world, but the telling of their history is frequently an aside to the story of the City - the birthplace of the Capital with its Roman origins, Norman citadel, medieval buildings and financial dominance. But what lies beneath the busy streets and pavements of the West End? This book shines a spotlight on the history and archaeology of West London. It is informed by the desk-based historical research, site excavations and archaeological monitoring carried out before and during the construction of the western arm of Crossrail as it travels below ground from the tunnel portal at Royal Oak to Fisher Street via brand new stations at Paddington, Bond Street and Tottenham Court Road. 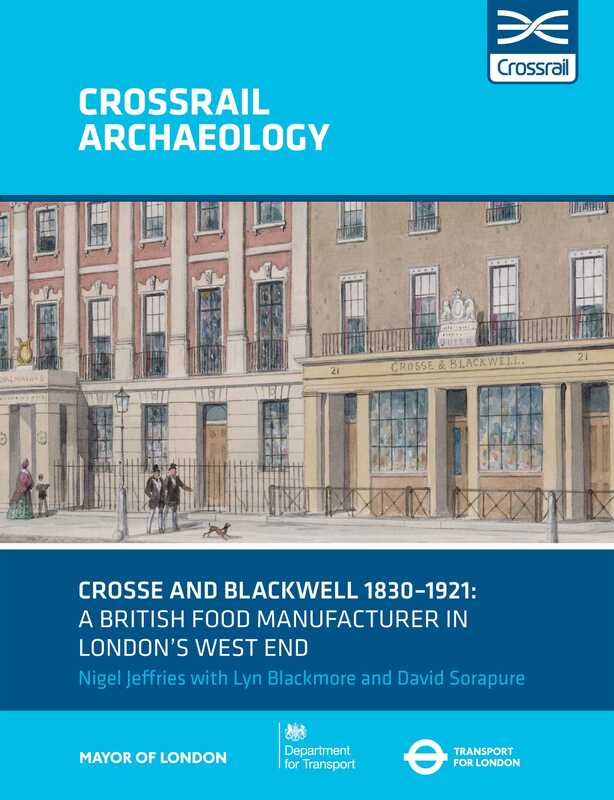 This book presents the results of the archaeological excavations in advance of the redevelopment by Crossrail Limited of the Eastern Ticket Hall at Tottenham Court Road Underground Station, charting the history of one of the great enterprises of Victorian and Edwardian Britain – Crosse and Blackwell. After its move from King Street (close to present-day Shaftesbury Avenue) in 1838 to Soho Square in London’s West End, food manufacturer Crosse and Blackwell built and converted property on a number of streets between Soho Square and Hog Lane (later Charing Cross Road) into warehousing and factory space, enabling production of its food sauces, pickles, vinegar, jams and marmalades on a vast, industrial, scale. The story of London’s Clerkenwell and Smithfield neighbourhood, from prehistory through to the present day, is explored in this book. MOLA’s archaeological investigations on behalf of Crossrail exposed how this marginal area of London was occupied in the medieval period by religious houses and a cattle market, and then as London’s population began to rapidly expand from the 17th Century, it became a densely packed, crowded suburb. Archaeologists identified victims of multiple plague outbreaks from as early as the Black Death from an emergency burial ground that was established in 1348−9. Archaeologists also discovered 17th Century rubbish in the fills of the Faggeswell brook that marked the southern boundary of the cemetery, from the livestock market and nearby households, some of which were evidently wealthy. 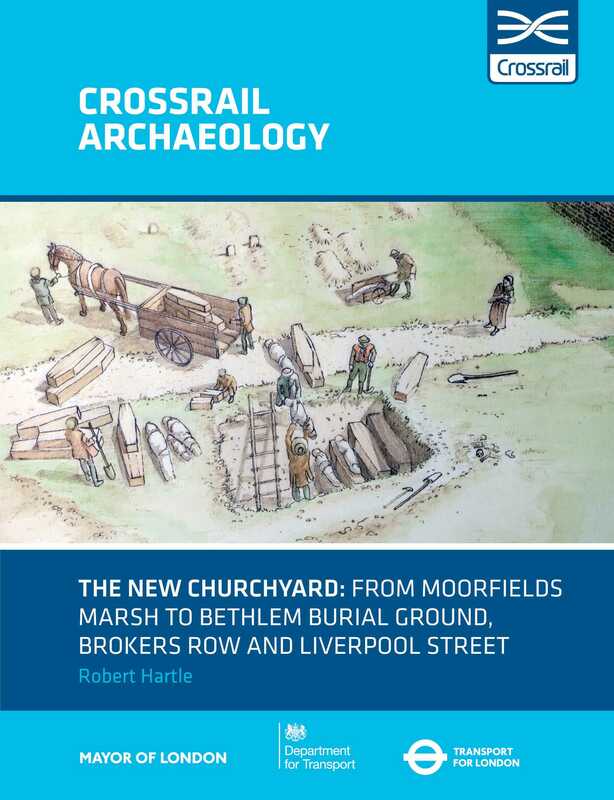 Archaeological investigations for Crossrail at Liverpool Street revealed the development of this area, from the medieval marsh of Moorfields to municipal, non-parochial, burial ground and later suburb. The New Churchyard, or ‘Bethlem’ as it was later known, was established after the severe plague of 1563 and was in use from 1569 to 1739; some 25,000 people in total were buried here. Detailed osteological analysis of one quarter of the 3354 burials excavated supports documentary evidence that the burials included migrants and many of the city’s poor. Excavations at Crossrail’s Broadgate ticket hall at Liverpool Street provided archaeological evidence for an area outside Roman London’s northern defences, a landscape dominated by a former tributary of the Walbrook stream. Drainage features were succeeded by an early 2nd- to 3rd-century AD road running west from Ermine street towards the fort in the north-west corner of the town. To the south of the road, seven 2nd-century AD inhumation burials, including three decapitations, and one cremation burial formed part of a burial ground in this waterlogged area, where evidence of flooding suggested an explanation for the accompanying disarticulated human bone. 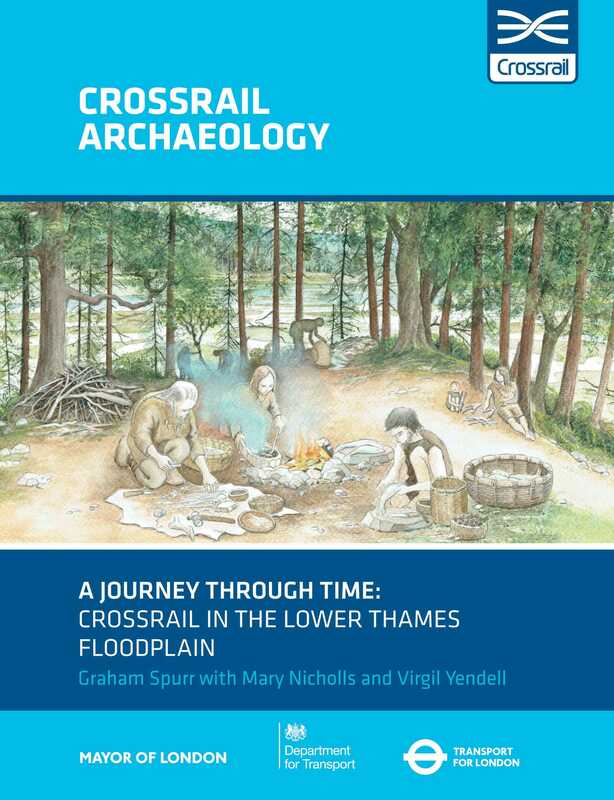 The archaeology investigated along Crossrail’s south-east worksites across the Thames floodplain, from Stepney Green to Abbey Wood, tells the story of the lower Thames throughout the Holocene (from c 10,000 years ago to the present). Geoarchaeologists recorded the deep floodplain sediments at six sites along the route, providing the basis for an understanding of the changing landscape of the wider lower Thames area from Erith to Greenwich, Canning Town to Hornchurch, framed as a journey through time. Across 5 volumes published by ICE Bookshop, Crossrail Project: Infrastructure Design and Construction contains a collection of papers submitted to Crossrail's Technical Papers Competition. Contributions have come from consultants, contractors, suppliers and third-party stakeholders all of whom have been involved in the Crossrail project. The papers cover a variety of disciplines including insulation materials, material corrosion, ground engineering and many more.